I can’t emphasize enough that one of the best things about board games is the social aspect. A vast majority of board games have at least 3-4 players; interacting with friends and family is a big part of the tabletop game. Card games tend to amplify this effect, with many card games exceeding the 3-4 player average and allowing for large numbers of people to enjoy. Because of this, card games have more appeal for parties and large groups. The most obvious examples of this are the games Apples to Apples/Cards Against Humanity, both of which are extremely popular at large gatherings because they are easy to transport and can be played by almost an unlimited number of players. The most obvious choice for a party game, Cards Against Humanity is extremely popular due to its clever/vulgar humor and ease of play. As strange as it sounds, the fact that the game allows you to be obscene and dirty-minded somehow adds to its charm. The game itself is simple enough; you have a judge that draws a fill-in-the-blank card that each player anonymously answers with his or her own card. The judge then picks the best/funniest response, and the person who played that card wins the round. Best to be brought out when the kids are in bed, the game is a mainstay for young adult parties and group nights (which may or may not contain alcohol). 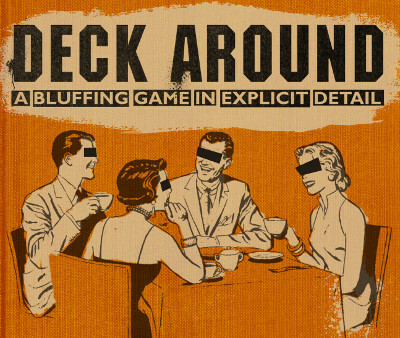 One of the newer games out there, Deck Around takes Urban Dictionary and turns it into a card game (for those of you who don’t know what Urban Dictionary is… you probably don’t want to). The object of the game is to take a word or phrase on a card and make up a definition that you anonymously provide to the rest of the group, along with the real definition. Everyone then chooses what he/she thinks the correct definition is and if your definition is picked you win the points. This game is another great option for the dirty-minded who want to make some less-than-PG jokes. Enjoy learning all about what a Boston Blowfish is! 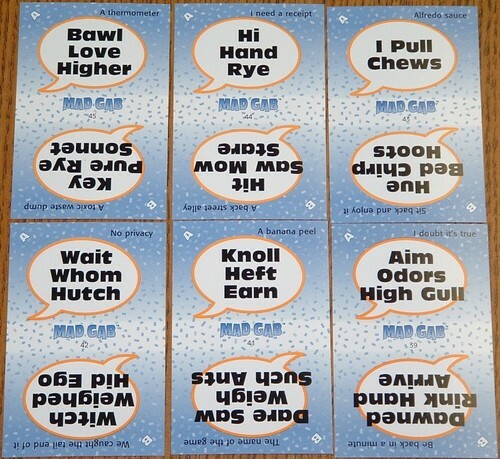 A wordplay game where you work in groups, Mad Gab takes a well-known phrase and changes it to a string of unrelated words that, when said aloud, sound similar to the original phrase. The object is to read through the sentence until the team guesses the correct phrase. The entertainment comes in people almost saying the phrase, and the other team that knows the phrase laughing at the difficulty of it. Great for families and friends, you can either play with a timer of just go back and forth between teams trying to guess. You’ll have a great time either way. A fast-paced and loud game, be careful when and where you decide to play Pit. Each player is dealt a hand of commodity cards (wheat, barley, etc.) and the objective is to trade resources until you corner the market of one resource. You can’t show the cards that you’re trading, so instead you try and trade with someone based on the number of cards. This normally devolves into everyone yelling the number of cards they want to trade (Trade 2! Trade 3! Trade 4!) and then when you have all of the cards you slam the middle of the table and call “corner on _______!” Your voice will be hoarse by the end of the game, but it’s definitely worth it. Say Anything focuses on a series of questions where each person writes down his or her answer and a judge decides which answer is best. To add to the competition, each player (or team) has chips that they can wager on any answer, including their own, and if the judge chooses that answer they will win points as well. You can play your tokens on multiple phrases, or you can bet it all on one. The game helps start a lot of dialogue and is a good way to start a party with a group of friends. 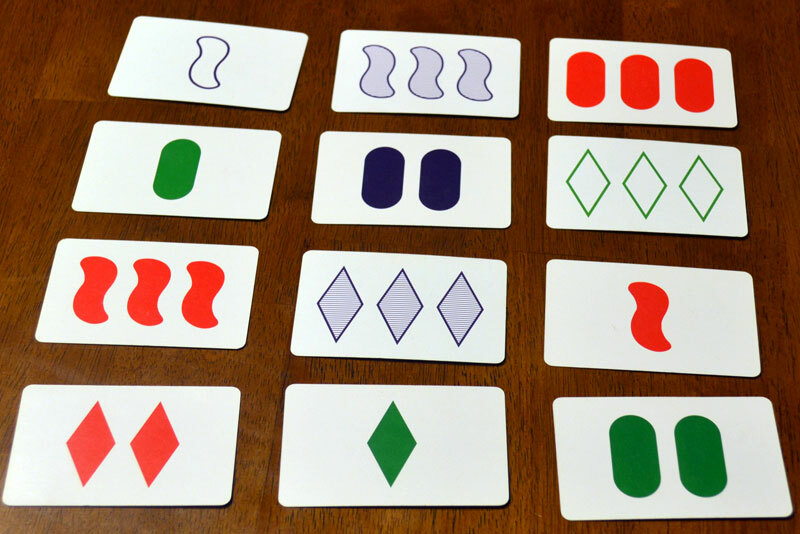 One of my favorite games when I was a kid, Set is all about finding sets of 3 cards that either have the same or opposite characteristics (all the same shape or all different shapes, the same number of shap es or 1 2 and 3 of each shape, etc.) and then call “Set!” as soon as possible. After you find a set, new cards are added and the process continues. The person with the most sets by the end of the game wins. This game is one that makes you think and is great for younger kids to learn patterns and think quickly. One of the most well known games from the 90’s, Taboo is a group game all about hinting at keywords which the rest of your team has to guess. There are also Taboo words that you can’t say when you try and get other players to guess. The more keywords guessed, the more points you receive. A simple concept with a fun twist, Taboo is an entertaining game that is good at getting a larger group engaged in conversation. The game Things… focuses on specific phrases such as Things… you shouldn’t put in your mouth, or questions similar to that (yes, a lot of them can be interpreted as dirty). One person acts as judge, and everyone else answers the phrase anonymously. Rather than voting on your favorite answer, the Judge chooses who they think answered the question. If he/she gets it right, they continue to guess until they get one wrong, and then the person to the judge’s left guesses until all phrases have been correctly guessed. This game is better the more players there are, so make sure you have a big group when you play. Another classic card game, Uno is one of those games that you will always enjoy playing even if you didn’t necessarily think of it first when you go to your game pile. A casual game that you can sit and play with any group, Uno is one of the universal party games that has been in households for years. Utter Nonsense is a newer card game based on saying odd phrases in funny accents. Another “adult” game, Utter Nonsense has a silly humor about it that shows it doesn’t take itself too seriously. Similar to Cards Against Humanity, there is a different judge each round that draws an “accent” card to start off the round. Each other player then chooses one of his or her phrase cards and says the phrase in the accent that was played. These accents vary from normal ones like “Irish” to silly ones like “Valley Girl”. A bit hit or miss when it comes to the phrases, this is one of the games I encourage after you’ve had a few drinks (but it’s plenty of fun without drinks to). This entry was posted in Board Games, Card Games, Party Games and tagged Card Games for Large Groups, Cool Card Games, Top 10 Card Games for Parties by godirectlytogaming. Bookmark the permalink. And for the record, your girlfriend’s uncanny superpower is Mad Gab. And for the record, Mad Gab is your girlfriend’s uncanny superpower.